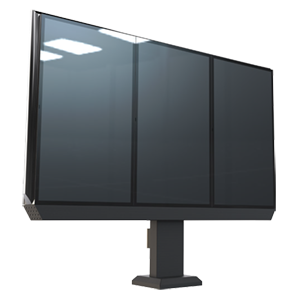 Double Configuration, Customizable, fully enclosed floor standing system in portrait orientation. 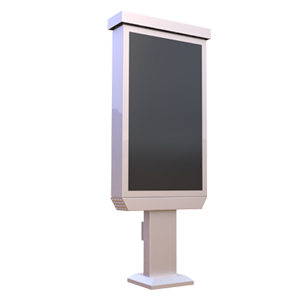 Engineered and built for outdoor use as menu boards configured for Quick Service Restaurants. 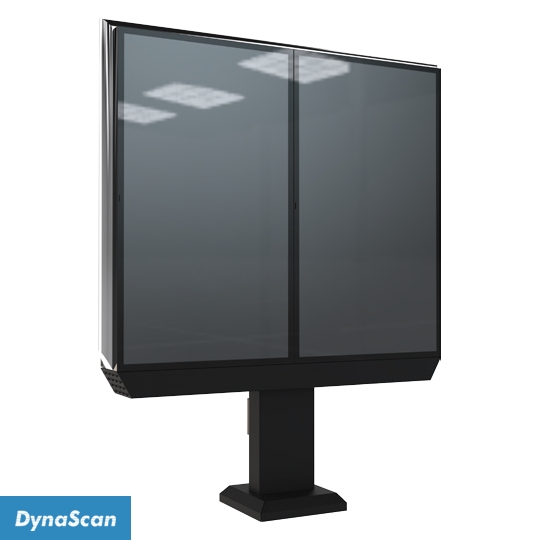 Includes a Dynascan 47” High-Bright Display. 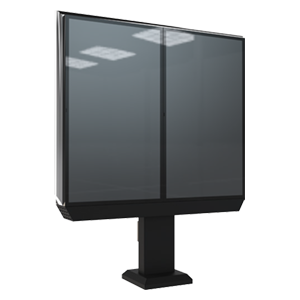 IP56 rated and includes 4mm AR coated tempered safety glass. High functioning heat exhaust fans regulate internal temperature to keep the interior cool and electronics operating at their peak. Built in storage for housing media players and other electronics, with a 6-way surge strip included.